Chamber of Secrets Movie Watch – Our chat with Warwick Davis! – Alohomora! Chamber of Secrets Movie Watch – Our chat with Warwick Davis! We were lucky enough to have fan favorite Warwick Davis join us for our global movie screening of Chamber of Secrets! The chat took place on Friday, December 28th 2012 at 5:00PM GMT, and Warwick answered a lot of your questions! You can read all of his answers below! WarwickADavis: Good evening everyone! I trust you are all enjoying the movie? WarwickADavis: Sorry, I said evening forgetting that you could be anywhere in the world! It’s evening at Hogwarts though! AlohomoraMN: Hey everyone! Please welcome our special guest Warwick Davis! WarwickADavis: I never spoke to JK Rowling about Flitwick’s character, but there is so much in the books, plus the scripts and the director really help to flesh out the character. I really felt I got to know the character and was sad to say goodbye at the end of the last film. ustreamer-011336: If Flitwick could be romantically involved with any professor at Hogwarts, who would he pick? WarwickADavis: Hmmm…? I’ve never felt that way with the character actually. I think he and Sprout would get on well… Flitwick’s almost as tall as she is! dwellingondreams138: How did you/do you deal with the hardships and challenges of being in the film industry? WarwickADavis: The film industry is challenging, but I love acting and that’s what keeps me doing it… that and the fans. You are all terrific support! WarwickADavis: I would have liked to have played Snape. Such a cool and complex character. Alan Rickman did an amazing job in all the movies, especially ‘DH Pt. 2’. AlohomoraMN: The fans were so disappointed that he didn’t get an Oscar nomination! How do you feel about that Warwick? WarwickADavis: Oscars are always very competative, with many worthy nominations. You win some and you loose some. I think Alan is comfortable enough with what he does not to be too dissapointed. WarwickADavis: If you want to be an actor, do it because you love preforming and not for the fame or the money… they are just by-products of being successful as an actor. Only do it if you love it. Snapescape: You played the choirmaster in the films, but are you any good BEHIND the mic? WarwickADavis: I am currently in the theatre in the UK and I have to sing. I can hold a tune, but I wouldn’t class myself as a singer. I sound better singing in the bath! AlohomoraMN: Is that where the singing in the shower comes from in PocketWarwick? WarwickADavis: Yes, my app PocketWarwick (iPhone and Android) is very closely based on me and my life, from the things I eat to what makes me happy. We’ve just introduced a Wizard outfit into the game too. WarwickADavis: Do you all have PocketWarwick living in your devices? It’s free! WarwickADavis: If you don’t have a device, I’ll just have to move into your house then! WatchStone: Which character did you enjoy portraying the most in the series? WarwickADavis: I enjoyed Flitwick, but Griphook was a really interesting character, and it’s always more fun playing bad! WarwickADavis: I remember the scene in DH when Voldemort proclaims ‘Harry Potter is dead!’ It was quite a scene to witness… it was like witnessing a historic event. I’d read about it, now I was actually there! WarwickADavis: All the actors in HP were great people to hang out with. Tom Felton taught me Twitter. WarwickADavis: I’m sure the pig would be genetically different and therefore unsuitable for consumption… a bit like eating GM foods! dwellingondreams138: Favorite place to visit? Or a place you’d like to visiit? WarwickADavis: The Lake District in the UK. Beautiful. WarwickADavis: I also like New Zealand very much. I have made two films there… Willow and Prince Caspian. kristena212: what was your favorite scene to film? ImagineMarshmallow: What Was Carl Like Behind The Scenes Of An Idiot Abroad???? WarwickADavis: Karl Pilkington is exactly as you see him in An Idiot Abroad – it is not an act. WildPotterhead: Favourite scene in the books that was left out of the films? WarwickADavis: Scene left out…I wish Flitwick had dueled with Snape. WarwickADavis: I am sorry that I have to leave now, but I’ll let you enjoy my ‘short’ appearance in Chamber of Secrets. 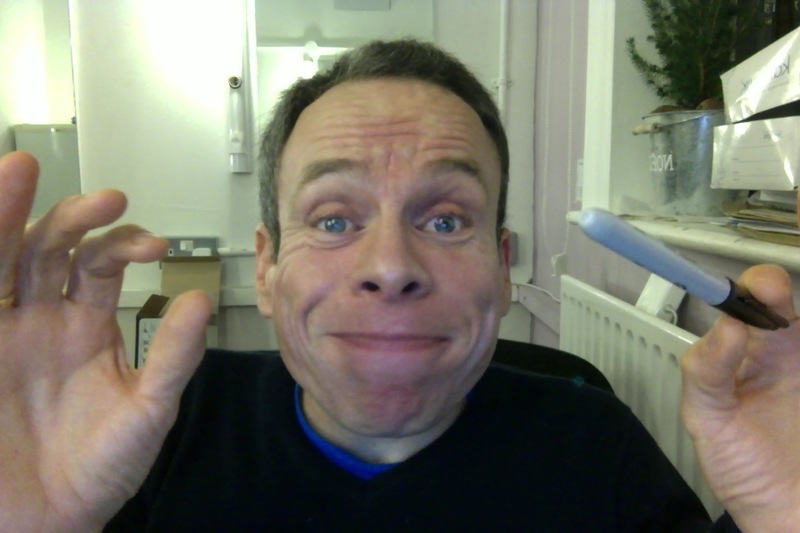 WarwickADavis: Thanks everyone! Have a magical New Year! Chamber of Secrets Movie Watch & Live Show!